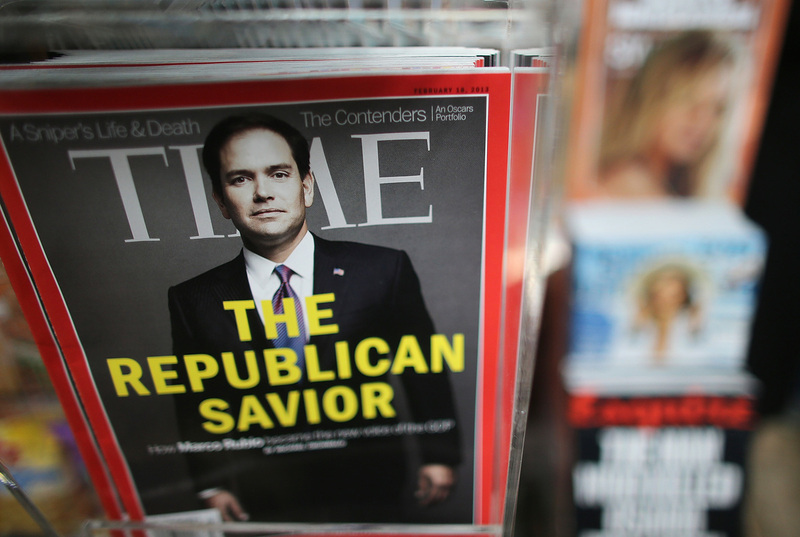 Meredith Corp. Buys Time Inc. In Koch-Backed Deal : The Two-Way In a long-elusive acquisition for Meredith, the two magazine giants have struck a $2.8 billion deal, that joins two vastly different media portfolios. Time Inc has finalized a deal to sell itself to Meredith Corp., in a transaction valued at $2.8 billion. Meredith Corp., owner of Better Homes & Gardens and Family Circle, has struck a deal to buy magazine publisher Time Inc., for an all-cash backed transaction of $1.84 billion, joining two vastly different media portfolios. The deal, including the company's debt, is valued overall at $2.8 billion. The Iowa-based publisher, Meredith has agreed to pay $18.50 a share for Time — the New York publisher of People, Fortune and Sports Illustrated, which Meredith announced in a press release Sunday night. "We believe this acquisition represents a transformative and financially compelling growth opportunity for Meredith Corporation," said Meredith CEO Stephen Lacy. It's a long-sought-after victory for Meredith, secured in large part by a $650 million investment from Charles G. Koch and David H. Koch, the billionaire brothers known for their politically conservative advocacy. According to The New York Times, talks of acquisition were said to be renewed earlier this month, in a third known attempt, when the Kochs agreed to back Meredith's offer with more than $500 million in equity. Meredith says the funds from Koch Equity Development, the Kochs' private investment arm, will be used to finance the deal and refinance existing debt, and that "KED will not have a seat on the Meredith Board and will have no influence on Meredith's editorial or managerial operations." As NPR's David Folkenflik reported, the Kochs previously expressed interest in acquiring a handful of media properties including the Los Angeles Times and the Chicago Tribune in 2013. Since Time Warner Inc. broke off Time as a separate company in 2014, Reuters reports, Time has struggled to gain footing amid the shrinkage of print circulation in an increasingly digital media landscape. Reuters adds, "analysts have said that bulking up on publishing assets could give Meredith the scale required to spin off its broadcasting arm into a standalone company." Last year, the two media companies reached a combined revenue of $4.8 billion. Meredith said the deal was unanimously approved by their boards of directors and will close early next year. Once merged, Meredith says it will serve a readership of 135 million and paid circulation of nearly 60 million.